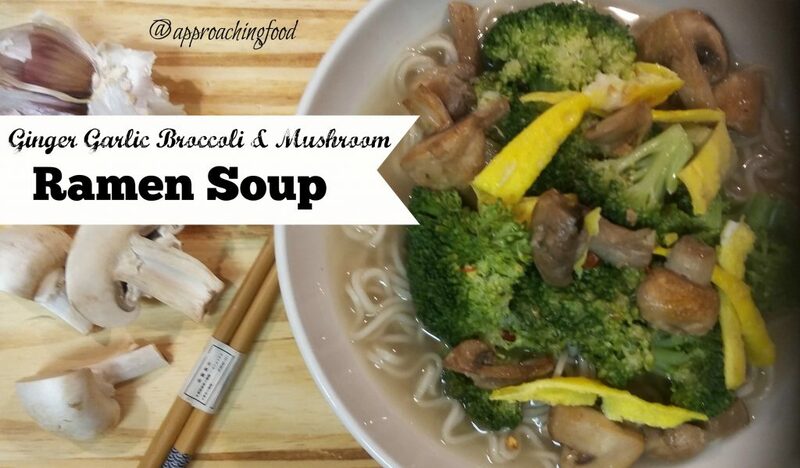 I have everything on hand except the noodles – will pick up some this week and give this a try as a quick soup. And yes, I also peel and freeze ginger and then just grab it straight form the freezer! It really is a yummy and quick soup! And very versatile, as any veggies can be used. I think the sesame oil is what gives it such an authentic flavour, btw. Oh, and yes, isn’t having frozen ginger handy? I actually peel it with a spoon (held as though it’s a paring knife) when it’s fresh, then pop it into the freezer to zest. Worlds different from powdered ginger! Just finished trying this recipe and it was a success. 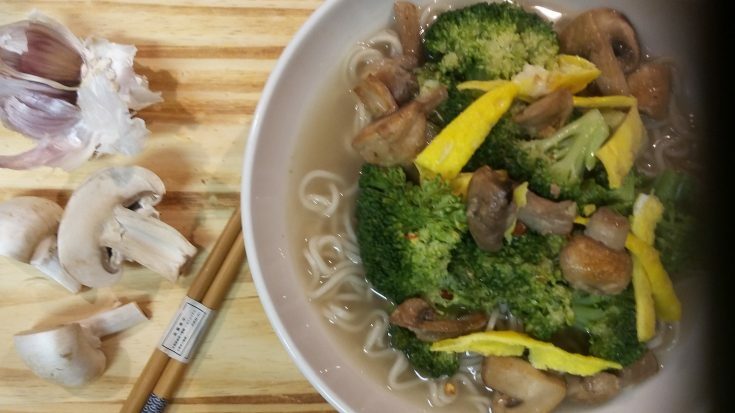 For vegetables, I used greens from the garden and stirred the noodles into the stir fry right before serving. It was much faster than making rice. I have been looking for ways to use up the case of ramen noodles my boys brought back from college. They lived on them at school and now won’t touch them. I refuse to throw them away. Tonight I used up two packages. Only a few dozen more to go. Update: Since I doubled the recipe, there were leftovers. My son ate them the next day and said the flavor was still great.